Nikkō is situated 200km north-east of Tokyo; historically marked as the northern location frequented by demons. Alas! 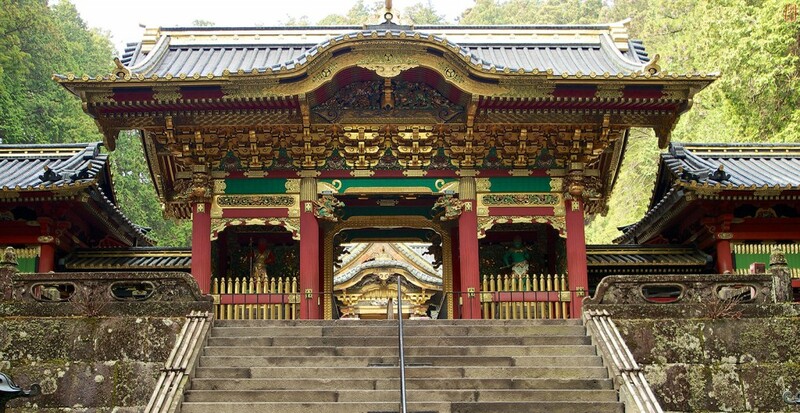 Fear not to those who wish to visit this picturesque area best known for its shrines and temples, for Shogun Ieyasu Tokugawa (great Japanese warlord) is enshrined here to serve as the people’s protector against evil. Ieyasu’s shrine, Tōshō-gū, is considered the main attraction drawing native and foreign tourists to the Nikkō area. One year preceding Ieyasu’s death in 1616, a small shrine was erected in his honour. It wasn’t until approximately two decades later that his grandson, Iemitsu, ordered that the shrine be rebuilt into the masterpiece that still stands today. Employing over 400,000 workers to construct the shrine over 17 months, it symbolises the extreme influence and wealth of the Tokugawa family. If you’re planning a trip to Nikkō this winter, reserve plenty of time to explore the Tōshō-gū shrine, for every element is steeped in great cultural significance. History buffs will appreciate the accessibility of information as multilingual placards are displayed throughout. 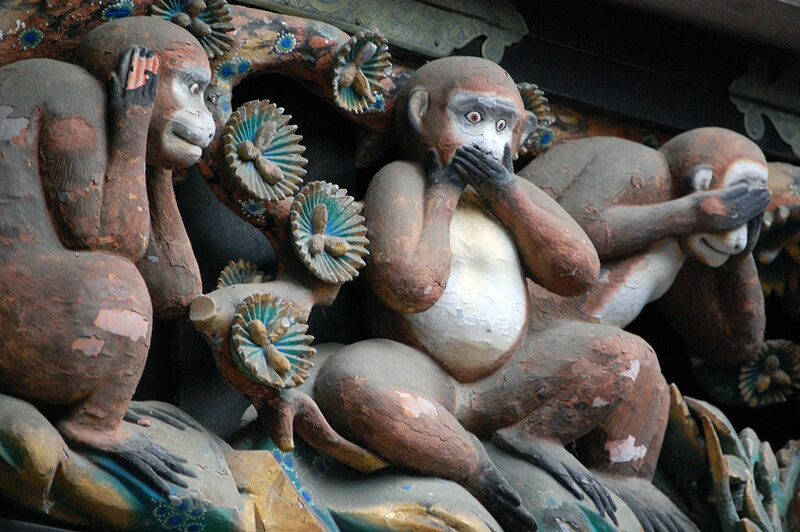 Even those who claim not to know much about Japan’s Shinto religion will be surprised to find a familiar depiction carved above the entrance of the shrine; Sanbiki no saru, or more commonly known as The Three Wise Monkeys. From this carving came the popular proverb ‘Hear no evil, speak no evil, see no evil’. It’s also recommended that you check out the intricately carved Chinese zodiac signs around the first level of the five storey pagoda. Situated on the east end of Japan’s famous ‘Romantic Road’, Nikkō’s diverse range of attractions and splendour is sure to greatly satisfy the expectations and interests of all tourists. Treat your eyes to a feast of natural wonder by visiting any one (or all) of the tranquil waterfalls, gardens, or mountainous snowscape settings. Allow a day to admire the spectacular native flora while exploring the many hiking trails or part of the 26 acre Botanical Gardens. Keep your eyes peeled while wandering through the wilderness, as you may be lucky enough to encounter a wild monkey. If you’re planning to set aside a day to immerse yourself in the cultural history of the numerous shrines and temples, be sure to not to leave Tōshō-gū off your list. A note to those visiting Japan who may be feeling ‘all shrined out’, this is certainly not the one you want to sit out for. For those eager to be first through the entrance gate, firstly familiarise yourself with the layout of the major attractions before developing an itinerary. If you plan to come by train and walk to each site, dropping into the tourist information centre along the way to collect a map may save you some precious transit time and energy. If you’re in the vicinity of Tōshō-gū you can’t miss Rinnoji Temple, quite literally, as the pillars of the main building reach 25 metres high. Despite it currently receiving major renovations, the temple hall constructed from a single tree and treated to 30 layers of lacquer, still remains open to the public. You may be surprised to hear that many residents recommend visiting the shrines and temples during the winter months, for the sunlight reflects from the snow, creating the perfect lighting to appreciate all the intricately carved surfaces. Having said this, most would agree that the backdrop of the koyo autumn foliage dispersed over rolling mountains is incomparable to any other site; the best excuse for a return trip later in the year. Speaking of beautifully decorative structures, be sure to stop at the sanctuary entrance to admire the oldest drawbridge over a gorge to still exist within Japan. 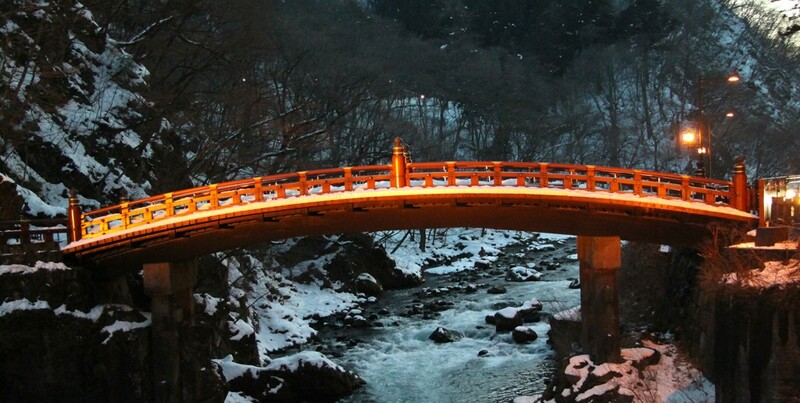 Known as ‘The Sacred Bridge’ (real name Shinkyo), this World Heritage listed beauty received its name and was built in honour of Shodo Shonin (the introducer of Buddism). It’s believed that in the year 766, Priest Shodo received help from the gods to cross the perilous river; enabling him to complete his mission to climb to the summit of Mt. Nantai to pray for national prosperity. If you’re not afraid of heights or you prefer letting your eyes roam while remaining stationary, you might fancy a ride on the Akechidaira Ropeway to get a 360-degree view of Nikkō’s diverse terrain. 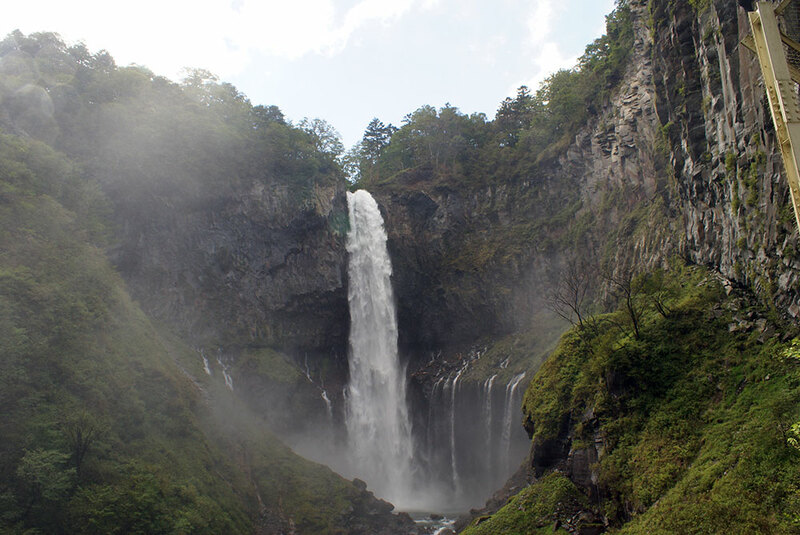 It’s likely that during the three-minute trip you’ll be able to observe at least one lake (Chuzenji), a waterfall (Kegon Falls- featured as the header image) and one mountain (Mt. Nantai). Once you’ve laid eyes on Kegon Waterfall, you may be enticed to head west to get a closer view of the cascading water falling 97 metres into the river below. For a small fee you can ride an elevator to the bottom of the falls to appreciate why it’s one of Japan’s most famous falls. 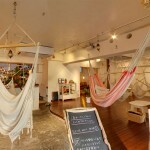 Couples are may wish to stop by the Futarasan Shrine, said to boost the happiness brought upon by marriage. On the way out, be sure to splash each other’s face with water from the sacred foundation in an attempt to restore youth by the powers of the water. After walking from shrine to shrine, you’re likely to have worked up an appetite and shouldn’t go past trying one of Nikkō’s most popular dishes; Yuba (tofu skins). Yuba can be enjoyed dried, cooked or raw and is commonly eaten with Soba in a broth. If you appreciate specialty beer, accompany your meal with a ‘Nikkō Beer’ which is brewed at a micro-brewery open to the public in Nikkō National Park. How to get to from Nikkō Tokyo: Take the limited express train (Tobu Isesaki- Nikkō -Kinugawa Line) to Tobu- Nikkō Station from Akasaka Station. Travel time is approximately two hours. 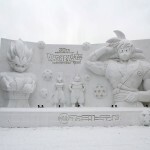 The 2016 Sapporo Snow and Ice Festival starts this week, and the city has been bustling in preparation for this fun festival. 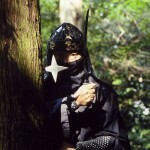 Can you actually see the ninja at the Igaryu Ninja Museum?